Sometimes Monday mornings can drive a person to drink. Especially, say, when you get up early to tackle a few things on your to-do list before the sun comes up, only to discover revenge work being done by one cat because you dared close the bathroom door in his face while you put your contacts in. Moral of the story: cats are adorable bastards, and I’m heading downstairs to put some amaro in my morning coffee. 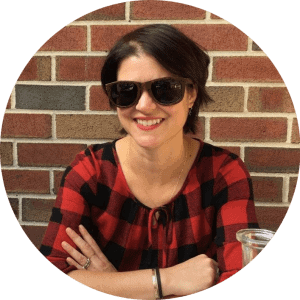 Taking her needs to heart, I decided the best way to pay homage to NPR’s long-running, widely acclaimed news program Morning Edition was to keep it simple. The main news story of the day is, as it should be, a bracing cup of cold-brew coffee, with the addition of a shot of amaro (the long-form feature segment or interview, if we’re continuing the news parallel). Add some dairy, if you’re so inclined, to bring in local flavor and shake in a few drops of orange bitters for a cultural update and you’ve got a well-rounded drink. Cocktails pairing coffee and amaro are nothing new; it’s a classic match that blends two depths of bitterness. Each brand of amaro (the correct plural, by the way, is amari) has its own recipe and ingredient list, so each tastes a bit different than its brethren—some are more astringent and some more herby and vegetal, while others are sweeter and more syrupy. Many of these classic Italian aperitivo brands are also really difficult to find in regular old suburban liquor stores! The one I’ve recommended here, Averna, is more or less widely available, and has a sweetly spiced flavor profile that will make rum and Coke drinkers very happy. Cold-brew coffee tip! 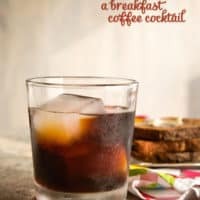 If you’re not making large-batch iced coffee for sipping all summer long per my cold-brew coffee instructions, you can scale down the ratio to make only as much coffee as is needed for this cocktail. Stir 2 1/2 ounces coarsely ground coffee beans (yes, measure by weight; it’s the most accurate considering we all grind our beans slightly differently, so volume won’t be exactly the same) and 1 1/2 cups cold water together in a bowl and let sit overnight. Strain through a coffee filter-lined metal strainer; you should have a little more than 1 cup cold-brew coffee. Or just use bottled cold brew coffee. 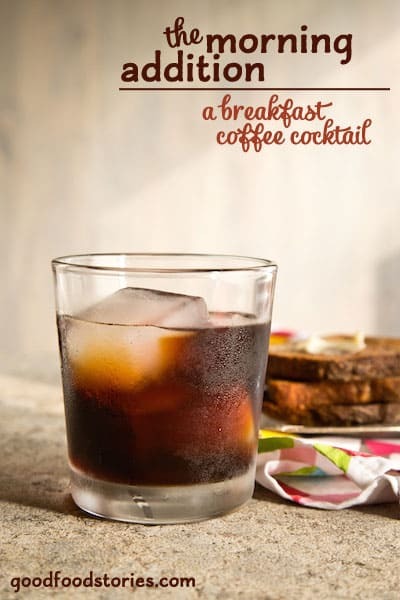 Inspired by NPR's Morning Edition, this coffee amaro cocktail is well-rounded and goes down easily after breakfast - or whenever you need a pick-me-up. 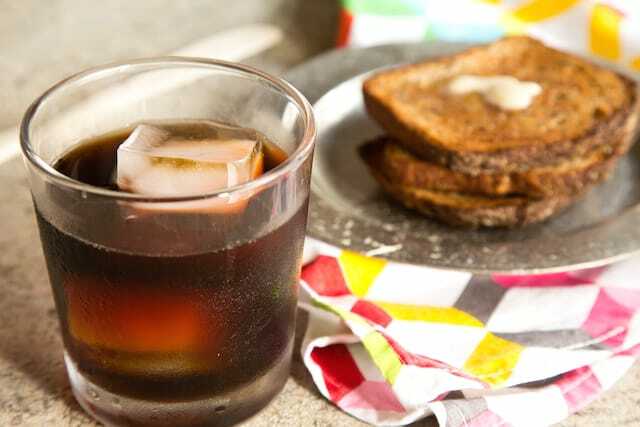 Pour the coffee into an ice-filled rocks or old-fashioned glass. Stir in the amaro and the milk, if using.